When it comes to fragrance, personality is everything. There are many different threads that are woven together to create just one scent: the values of the fragrance house, the style of the perfumer, and unique inspiration of that fragrance are just a few of the things that make up its complex persona. It’s no mean feat to create distinct and compelling fragrance personalities with each launch, but there’s one fragrance house that ties each of these facets together beautifully: GIVENCHY. Since the launch of its very first composition L’Interdit in 1957 (which was created for and fronted by Audrey Hepburn, no less), GIVENCHY has crafted fragrances that transcend the ordinary. They effortlessly capture the luxurious elegance of the house, the mastery of its perfumers, and the zeitgeist of perfumery. They’re an anthology of creations that become more than an accessory; they’re a part of your personality. 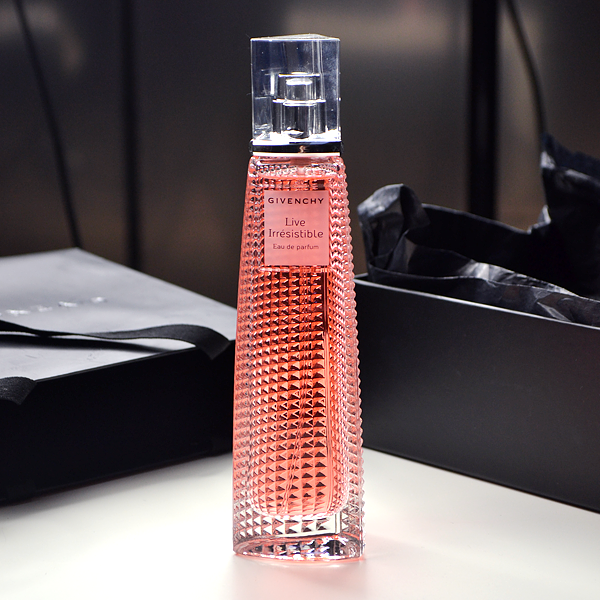 This statuesque fragrance for women has become GIVENCHY’s flagship scent, and for very good reason. Very Irresistible is a tribute to modern women, with a dash of French elegance and a pinch of American charm. The timeless floral fragrance is all about throwing your arms out to the world and living irresistibly. Very Irresistible is a bouquet that honours the Queen of Flowers, the rose – but put aside all thoughts of it being plain or too traditional. It’s a showcase of five different roses with very different personalities, some bold and spiced, some delicate and green. It’s poised yet spontaneous, chic yet charming… there really couldn’t be a more perfect embodiment of the GIVENCHY spirit. The Very Irresistible Eau de Parfum is crafted using the same five roses as the Eau de Toilette, with the addition of a very special bloom, the Liv Tyler rose, named for the original muse of Very Irresistible. The addition of seductive vanilla and aromatic patchouli in the base gives this version of the Very Irresistible story a little more edge, while the Eau de Parfum concentration provides even greater longevity on the skin. Every fragrance house needs a showstopping pillar – and boy, is Dahlia Divin a showstopper! Inspired by a vision of a golden goddess, the floral woody fragrance collection is a tribute to an icon crafted from lavish materials. It’s the ultimate fragrance choice for women with a penchant for glamour. 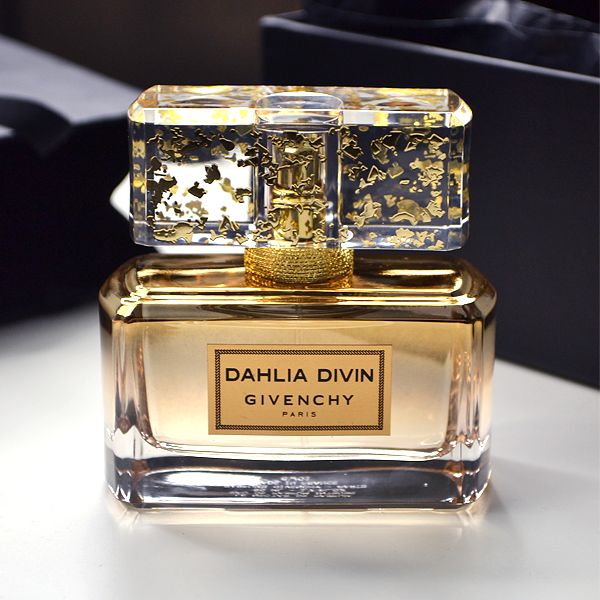 If there was ever a fragrance that speaks of the sublime, it’s Dahlia Divin. It’s the most couture of all the GIVENCHY fragrance pillars, crafted as a vision of golden luxury and armfuls of flowers. Its arresting composition is a fine balance of sweetness (mirabelle plum), plushness (jasmine) and woodiness (sandalwood and patchouli), which compels from the very first spray and holds your attention all the way through. It’s glamour, bottled. This sparkling interpretation of the original Dahlia Divin fragrance unfurls in shades of rose gold. Its fresher take on the idea of a modern day goddess is created with juicy vineyard peach, pink jasmine and swathes of vanilla musk, which gives a more youthful, ‘everyday’ feel to the scent. It’s a lighthearted take on the Dahlia Divin universe, but it’s not lightweight – it’s softer, but no less sensual. Le Nectar de Parfum is an almost complete reinterpretation of the golden spirit of Dahlia Divin with greater intensity and a tempting gourmand flourish. The plum and white flowers of the original make way for gilded notes of mimosa and rose, while a dash of tonka bean in the base adds sensuality. It’s as addictively seductive, making it perfect for evening wear. 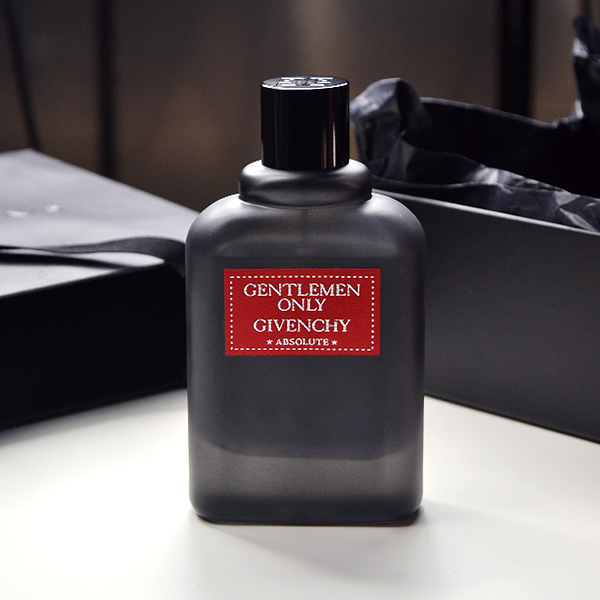 GIVENCHY’s flagship men’s offering is every bit as faceted as you’d expect. Though Gentlemen Only presents a collection of fragrances with a singular theme – the idea of the modern gentleman – each fragrance is interpreted as a different facet of his life, ranging from laidback weekends to ultra-suave events. The original Gentlemen Only fragrance is all about effortless, timeless elegance and a clash of cool and warm tones. Green mandarin meets with nutmeg, and incense meets with a skin accord to create a tactile scent that’s perfect for all occasions. This is the well-tailored, everyday suit of the four fragrances. Taking its cues from the original, Gentlemen Only Intense offers the same sense of timeless elegance – however this time it’s deeper, richer and more peppery. Its notes are overdosed to create an innate sense of sensuality with abundant charm. This is the suave evening suit of the four fragrances. If you enjoy the sophisticated spirit of Gentlemen Only but you tend to prefer a fresher, more citrus-based scent, Casual Chic is the perfect fit for you. Its lively notes of juniper and ginger are grounded with woods in the base, but it never stops being a light and versatile wear. This is the white linen suit of the four fragrances. This fragrance is so sensual, it’s almost sinful. Everything about Gentlemen Only Absolute is about excess, from its richer Eau de Parfum concentration to its heady notes of saffron, nutmeg and vanilla. This is the seductive tuxedo of the four fragrances. The newest pillar in GIVENCHY’s offering is also its most fun-filled. 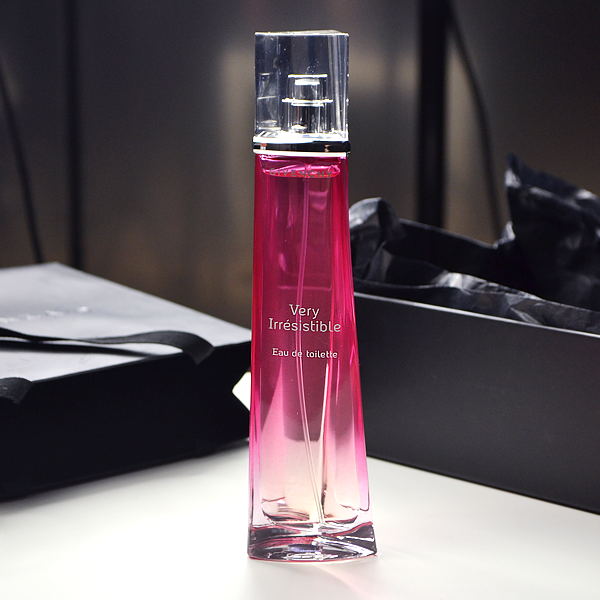 Live Irresistible is all about brightness, with fragrances that promote uplifting notes and a fresh personality. The collection is perfect for those who want a fragrance that will reflect their happy-go-lucky attitude, but with a refined and luxurious twist. Here is a fragrance that is truly irresistible. Live Irresistible strips back all talk of being seductive and alluring, and instead focuses on inspiring a far more universal emotion: the feeling of happiness. The scent does this with a lively yet elegant cocktail that amps up the feel-good factor, with a dose of ultra-juicy pineapple and lashings of spicy berries to create a sassy bite. It’s a grown-up fruity floral that never loses its sense of fun. For those who like their fruity florals with a little less sass and a bit more sparkle, the Live Irresistible Eau de Toilette is an airy, juicy fragrance that showcases a plethora of mouthwatering fruits. Its tempting composition doesn’t take itself too seriously – the scent is all about boosting energy, having fun and feeling fresh. It’s a veritable veil of happiness! Wear this on days when you want to feel like the most carefree version of yourself. 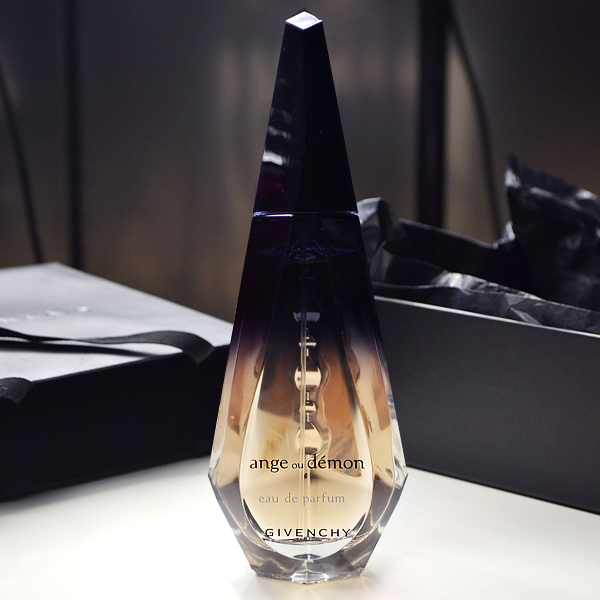 GIVENCHY’s Ange Ou Demon is a statement fragrance pillar inspired by an intriguing concept: are you an angel, or a demon? With their tempting notes and magnetic personalities, each fragrance in the collection blurs the lines between naughty and nice with tempting notes and magnetic personalities that are full of mystique. Ange Ou Demon Eau de Parfum is all about the drama. Rich, seductive and all-encompassing, it’s a fragrance that is constantly moving between shadow and light, playing on the overarching concept of angel vs. demon. Its theatrical notes of saffron and lily are almost dizzying in their headiness, while its base of vanilla and woods is downright decadent – yet still utterly wearable. There’s nothing quite like this seductive elixir, it’s the ultimate compliment-magnet. On the more angelic side of the Ange Ou Demon universe is Ange Ou Demon Le Secret, an ethereal fruity floral fragrance that plays with delicate threads of mouthwatering cranberry and green tea. This scent is the olfactory equivalent of pale pink satin sheets; tactile, inviting and completely indulgent. It’s an elegant juice with a touch of Ange Ou Demon mystique, which elevates it above its fruity floral classification and into the realms of sensuality. What is your all-time favourite GIVENCHY fragrance? This entry was posted on Thursday, December 15th, 2016 at 4:33 pm and is filed under Brand Focus, Fragrance, Men, Tried & Tested. You can follow any responses to this entry through the RSS 2.0 feed. You can skip to the end and leave a response. Pinging is currently not allowed.